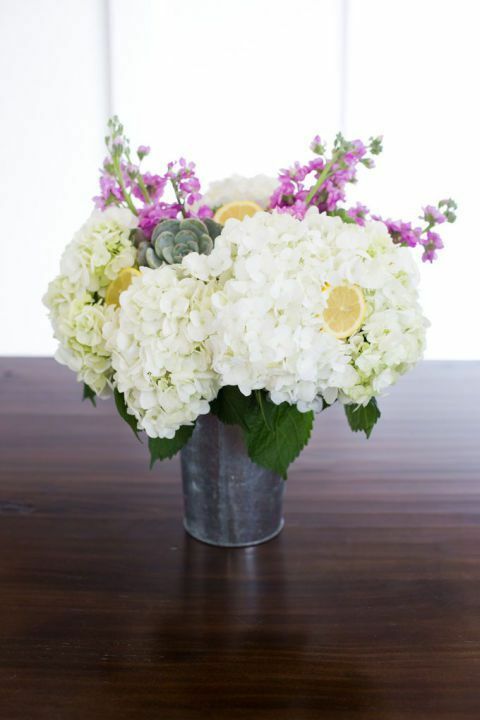 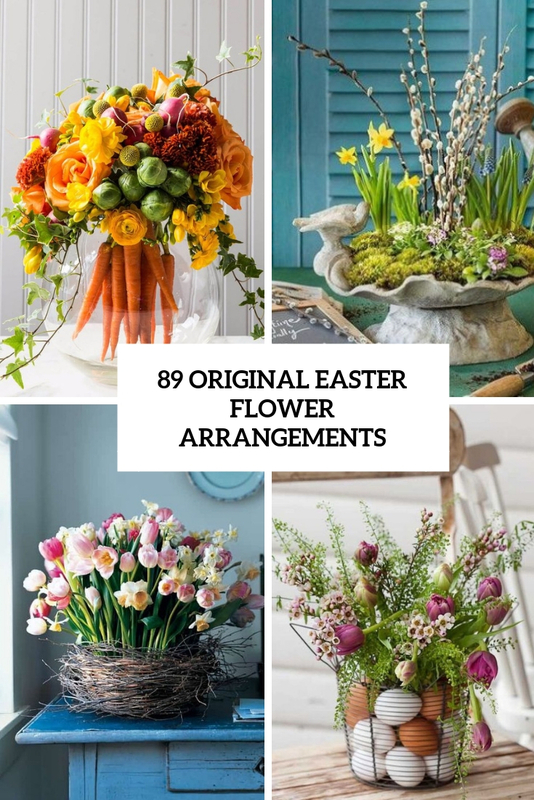 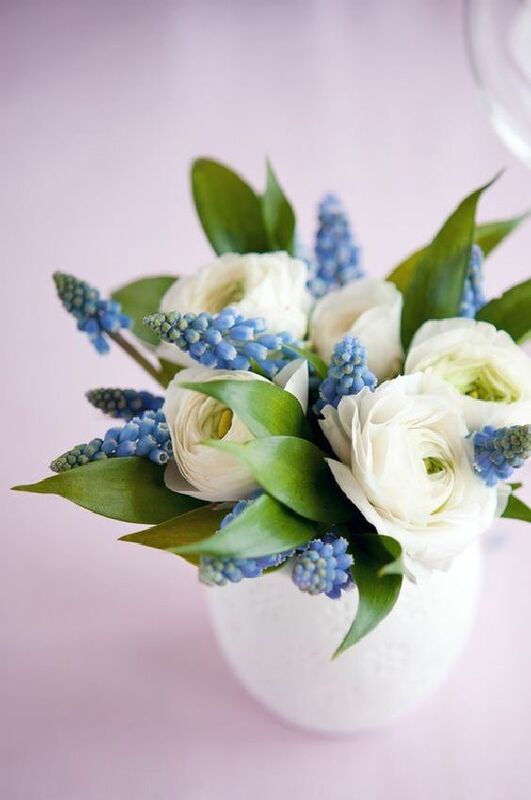 Flowers are amazing for spring décor and they also may be used for Easter décor – just choose your favorite flowers and colors you want. 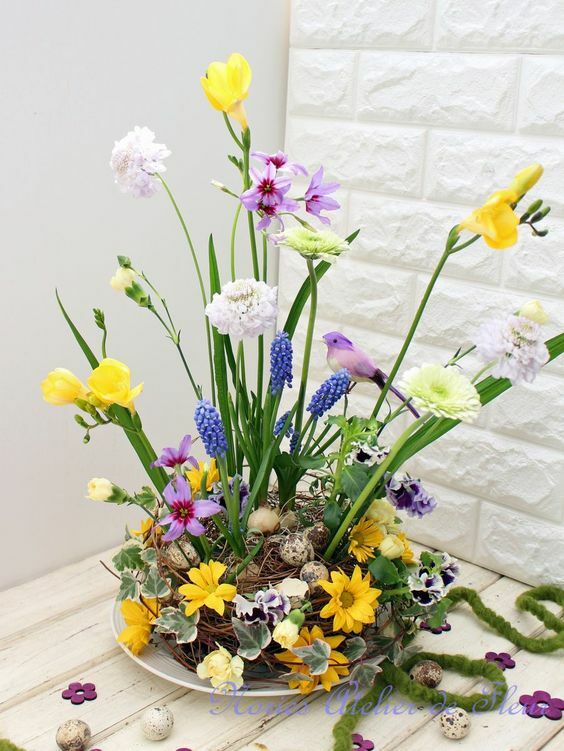 Centerpieces, wall and door decorations, egg and flower arrangements – these are just some ideas that you can easily realize. 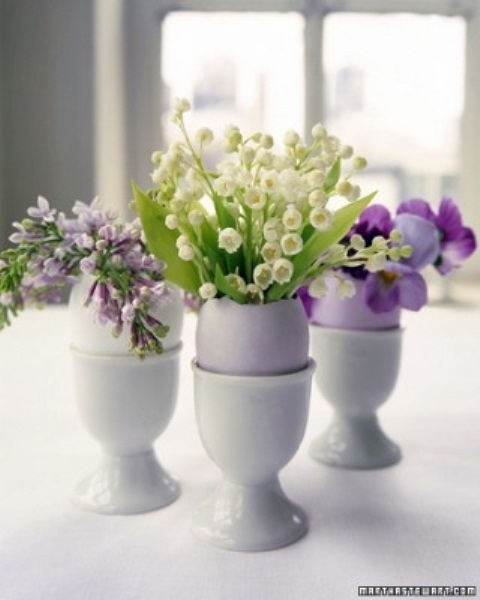 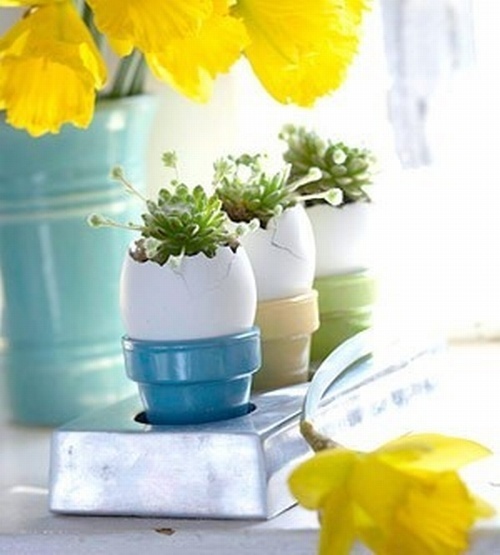 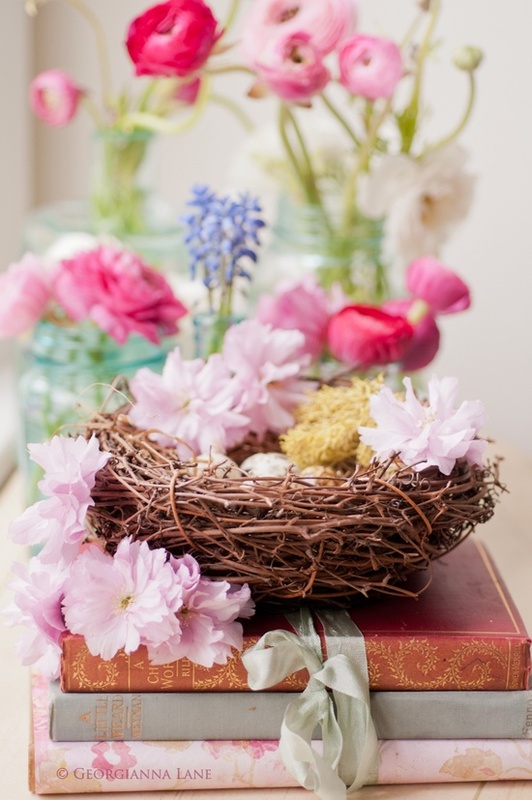 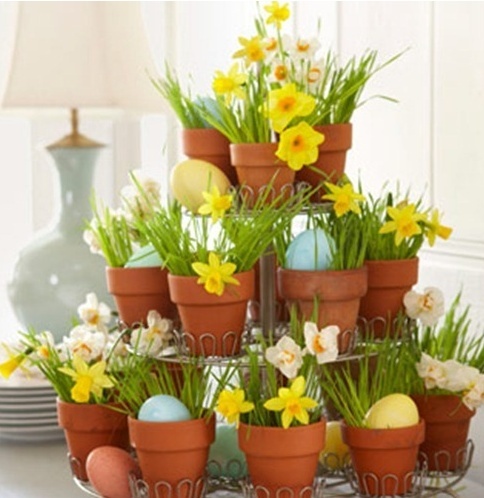 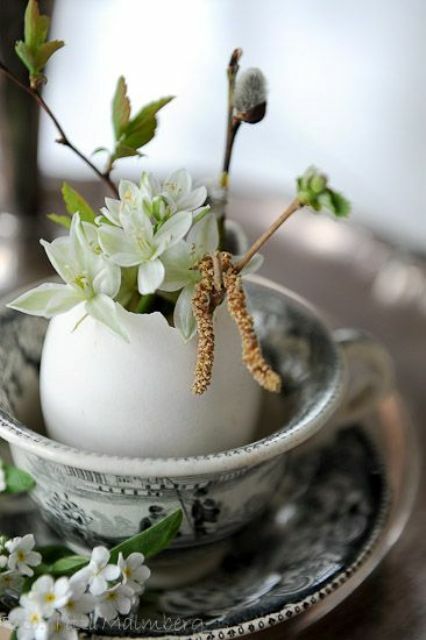 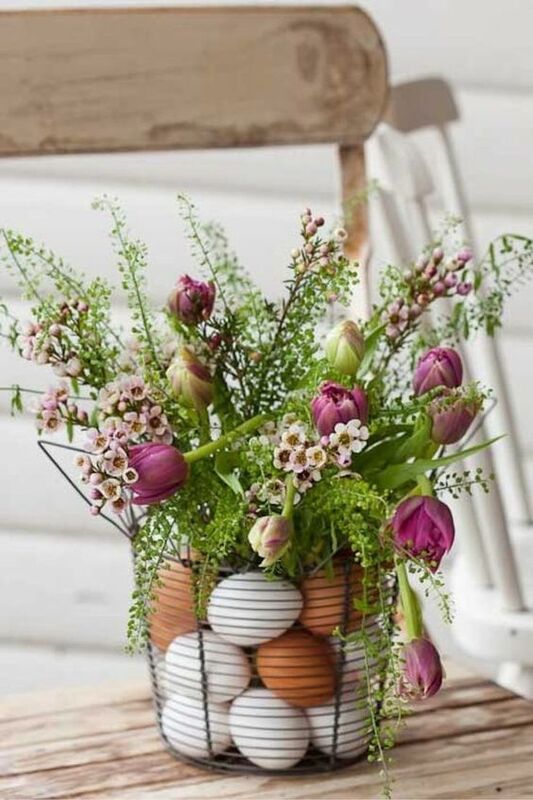 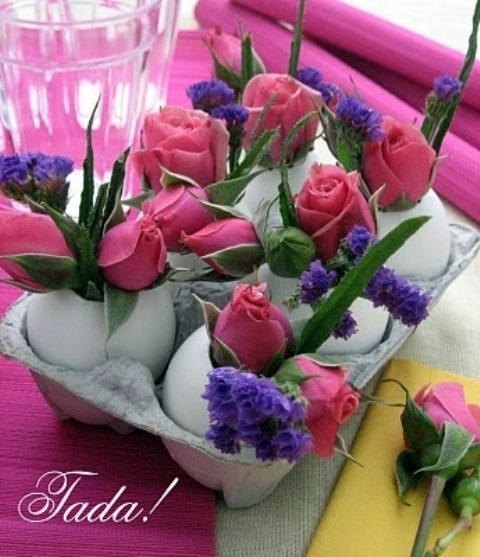 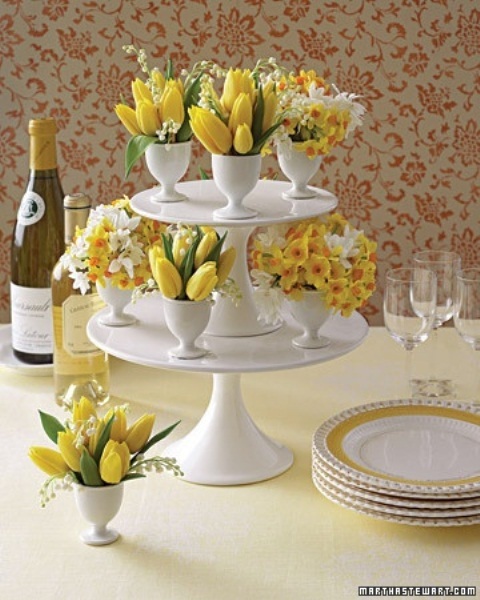 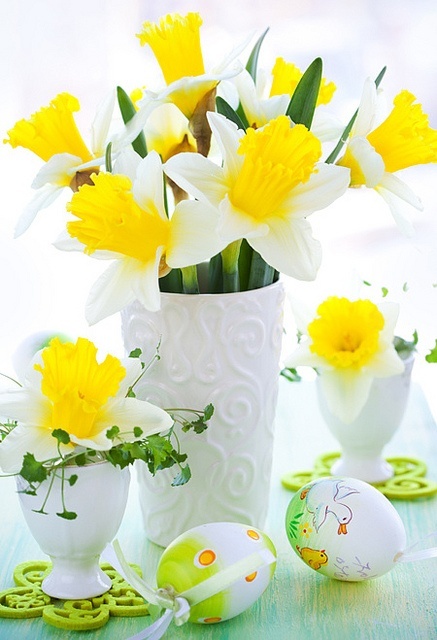 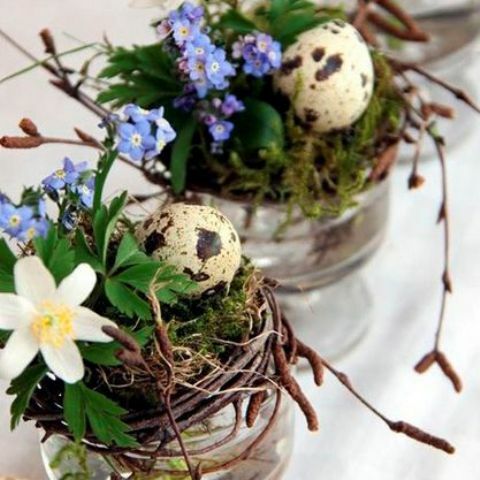 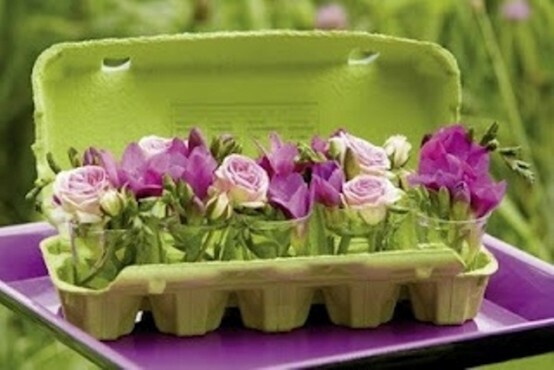 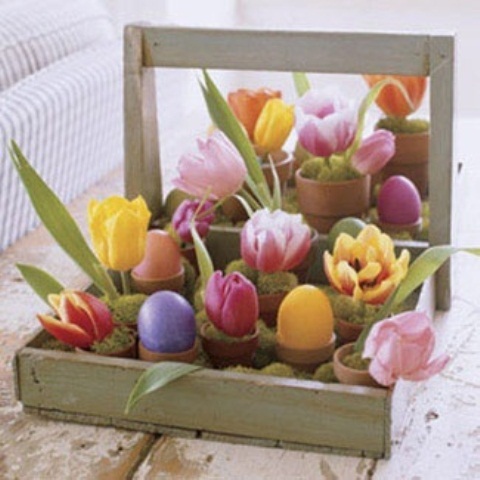 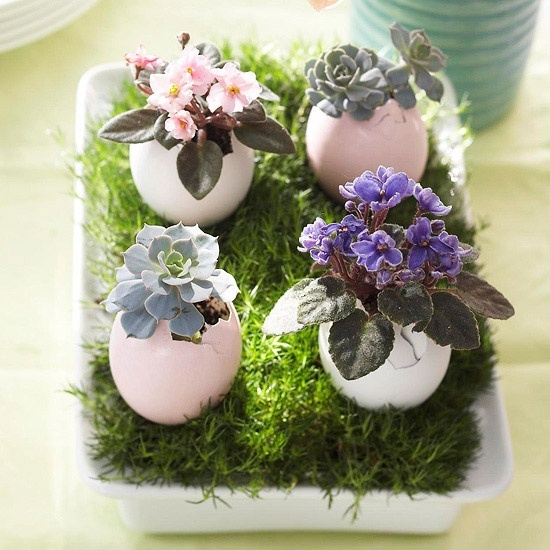 You can turn eggs into vases and planters; plant something into the egg boxes, decorate your egg stand with them – all these beautiful flowers would add charm. 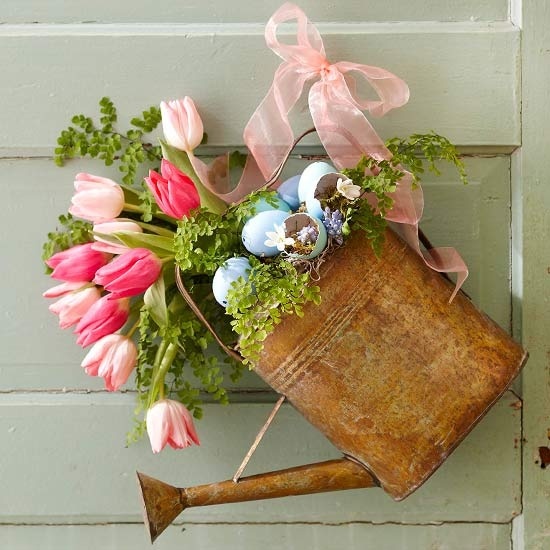 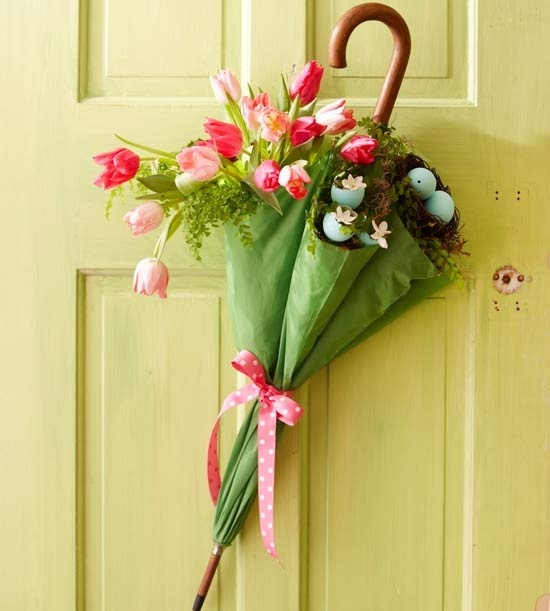 You can make an original craft like a watering can vase to hang on the door or an umbrella planter. 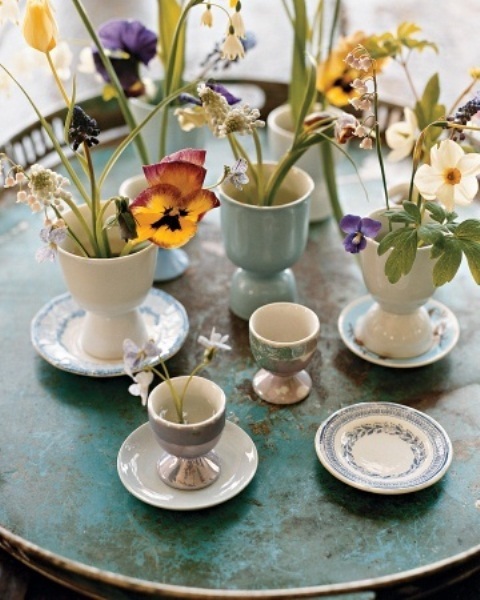 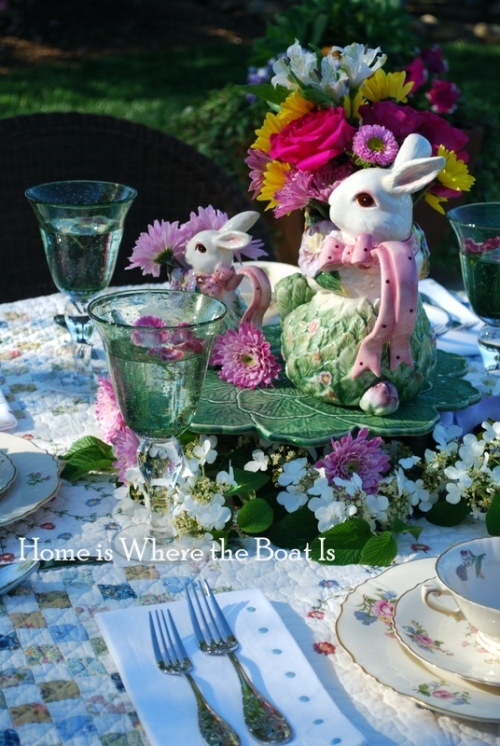 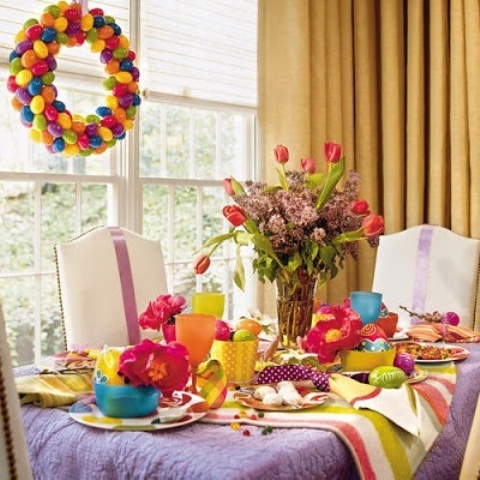 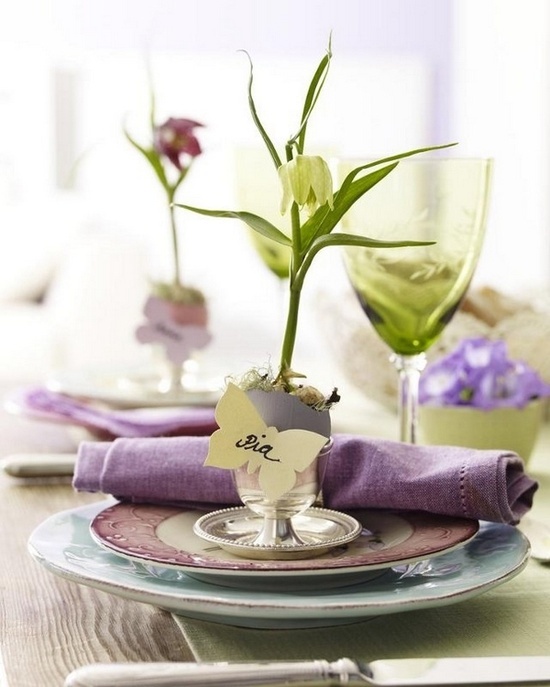 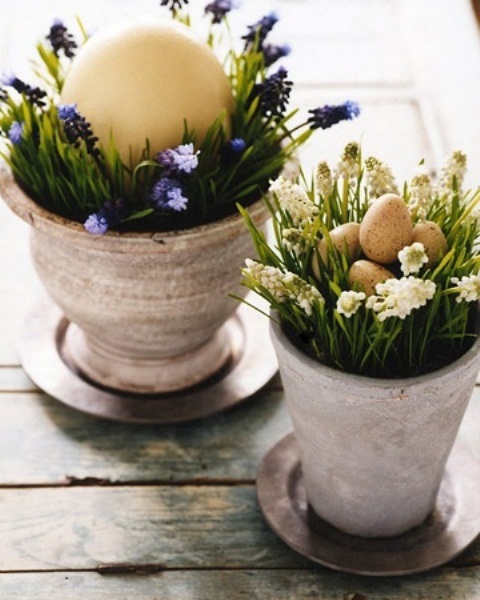 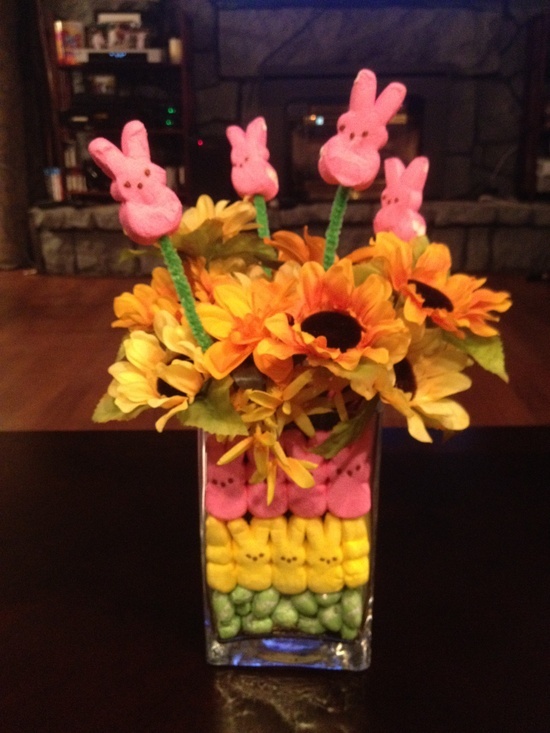 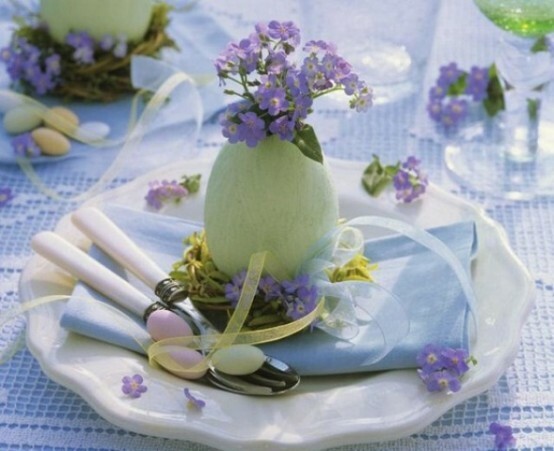 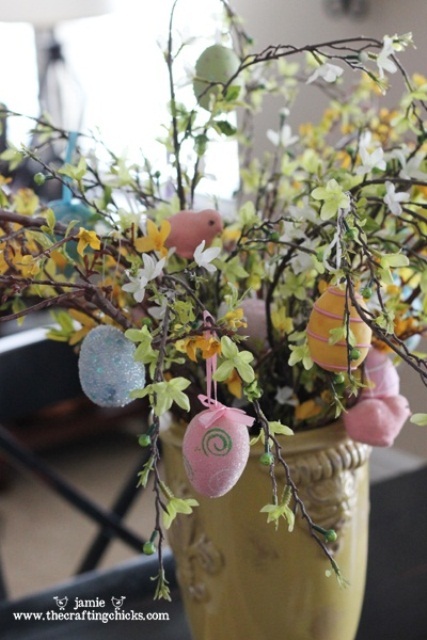 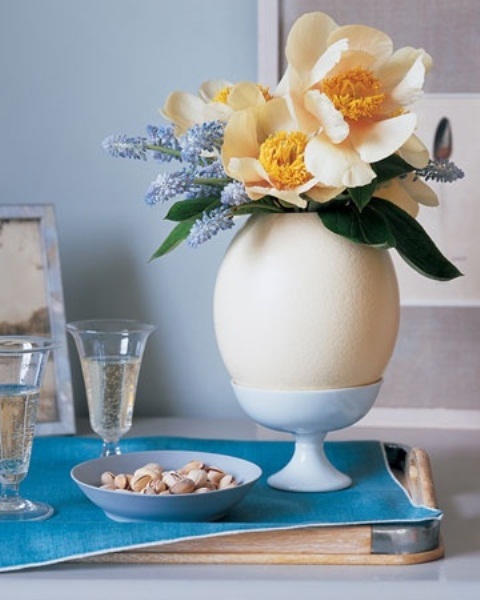 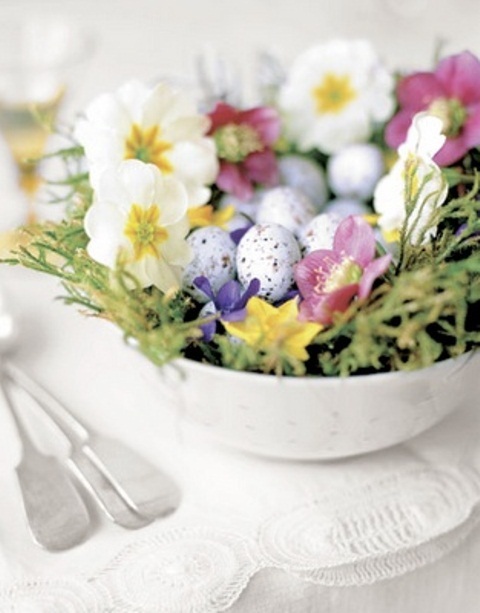 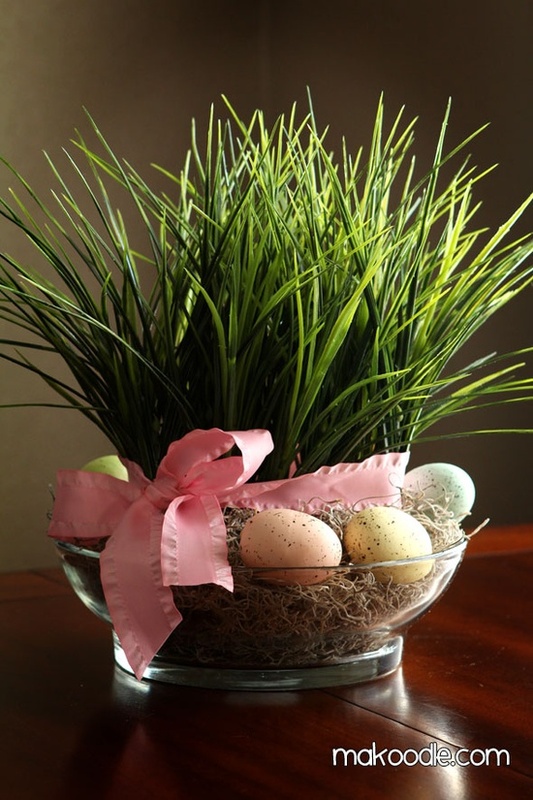 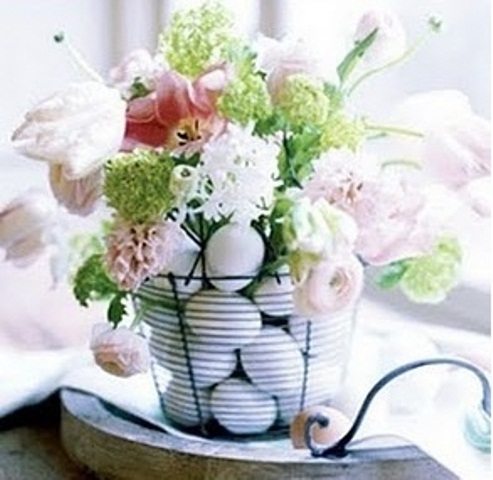 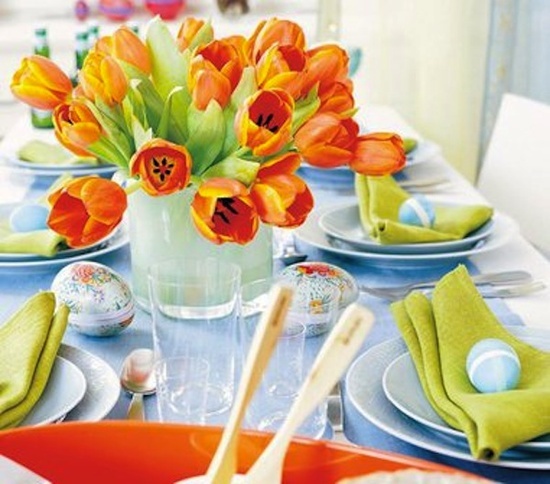 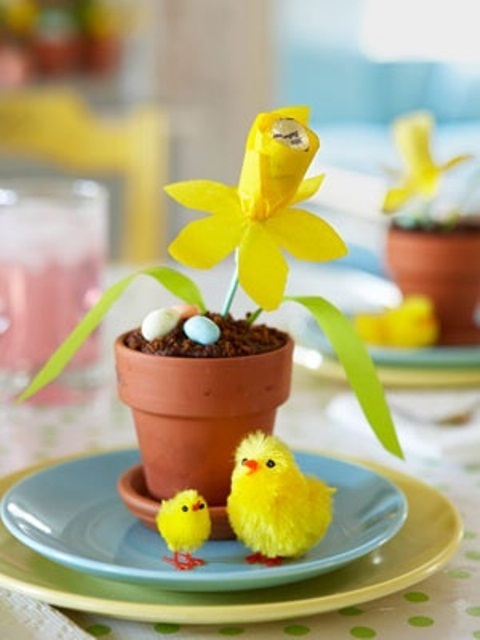 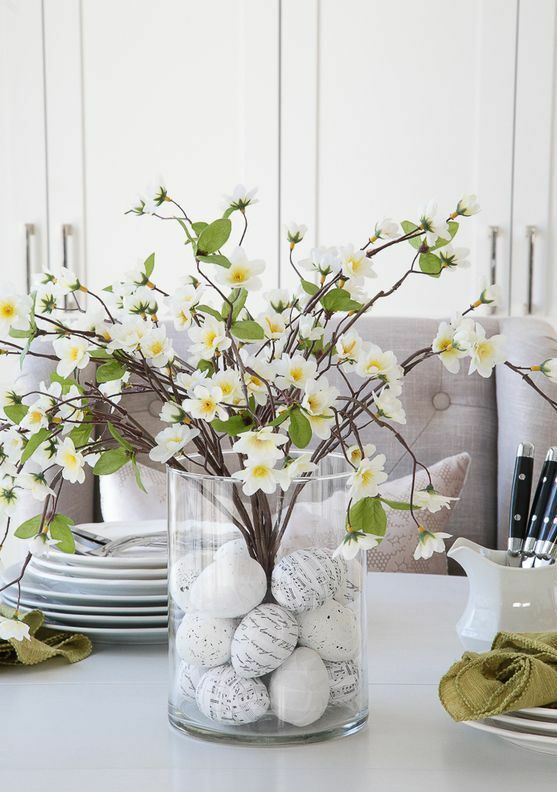 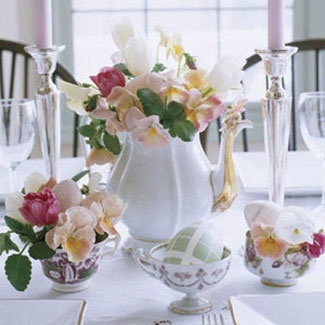 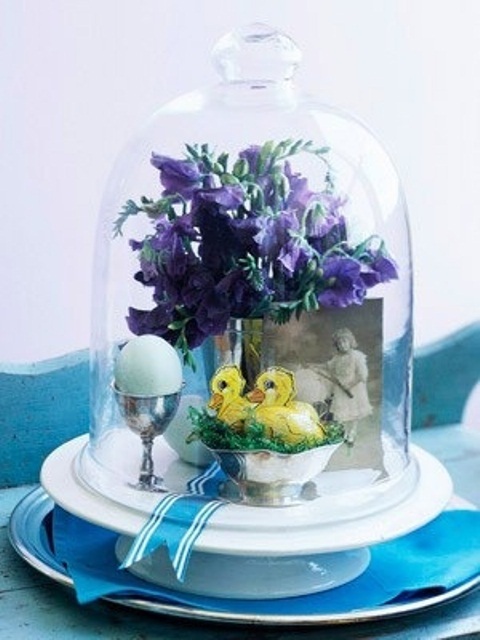 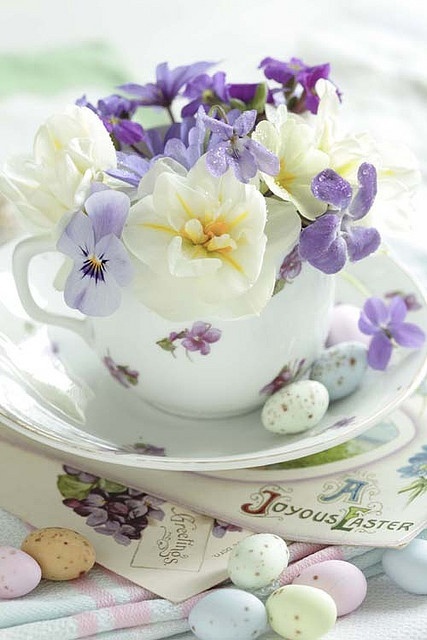 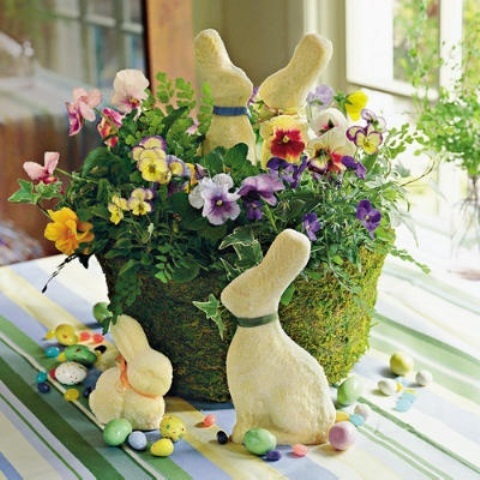 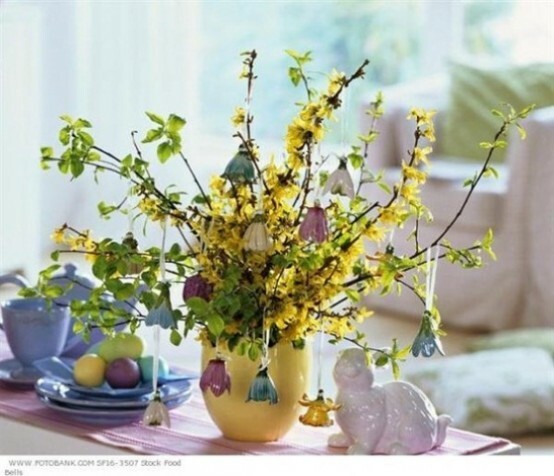 Have a look at pictures below and find out some cool ideas for your Easter décor. 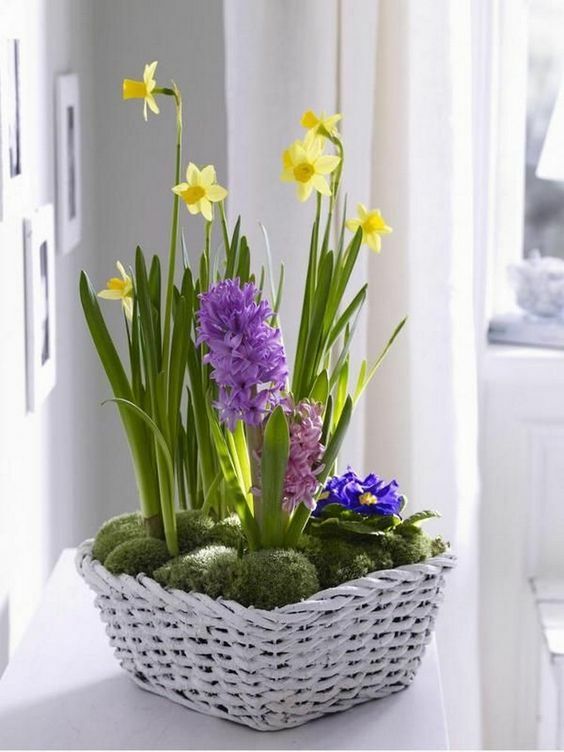 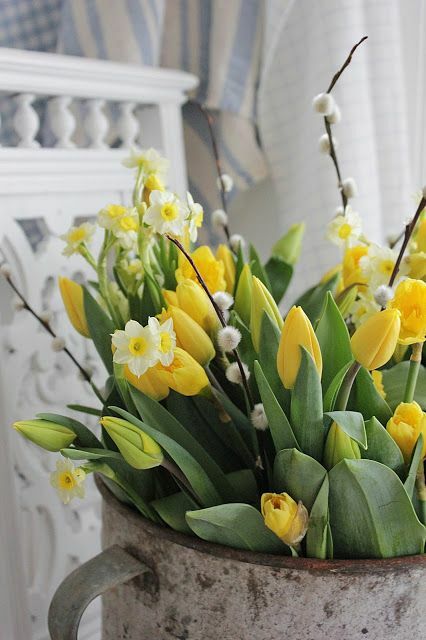 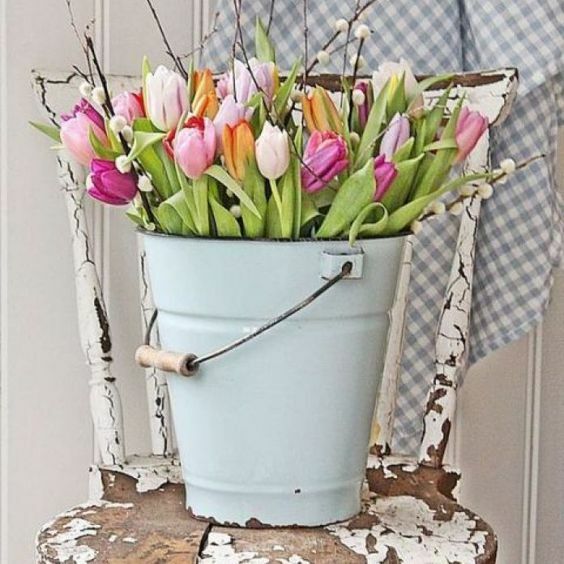 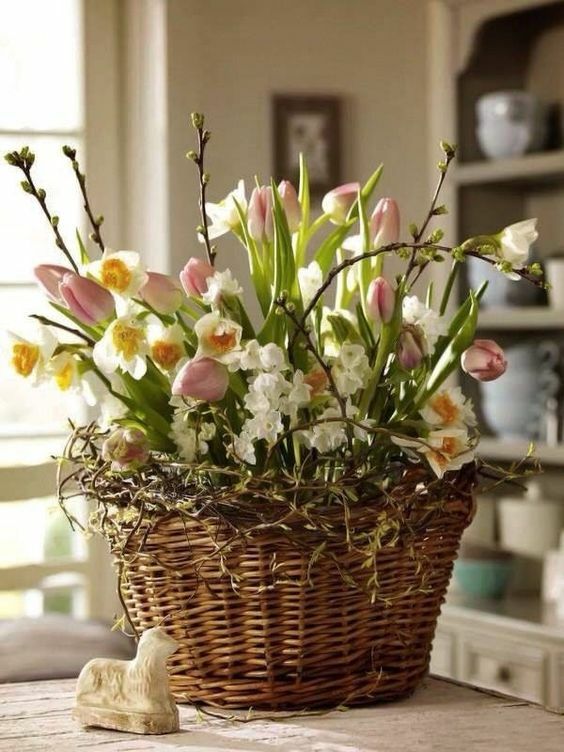 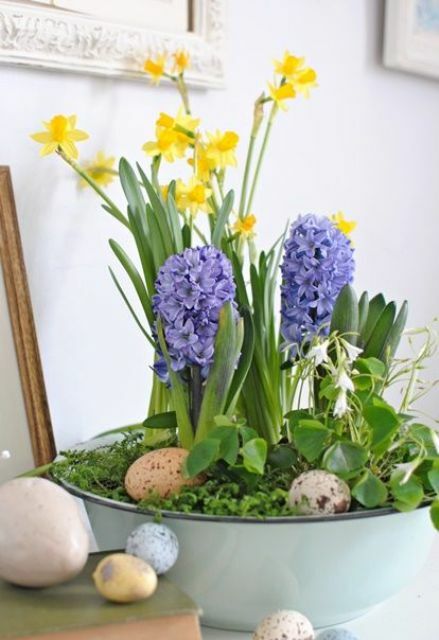 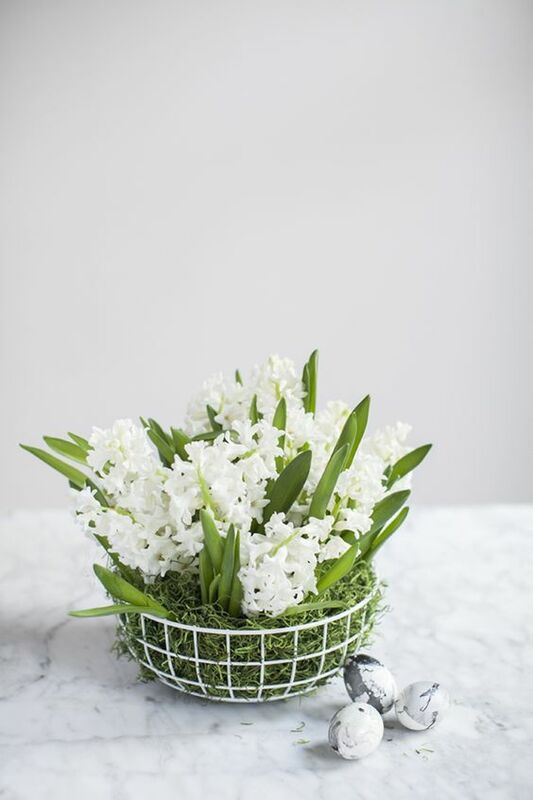 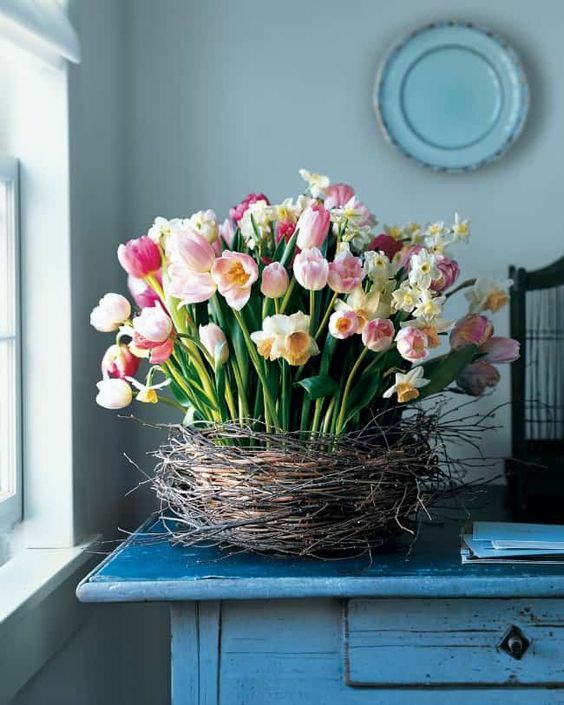 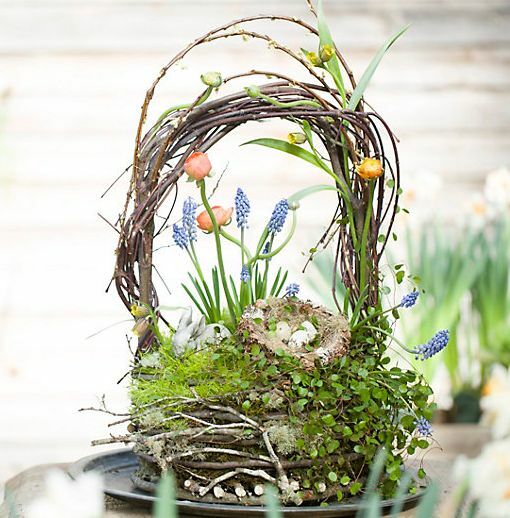 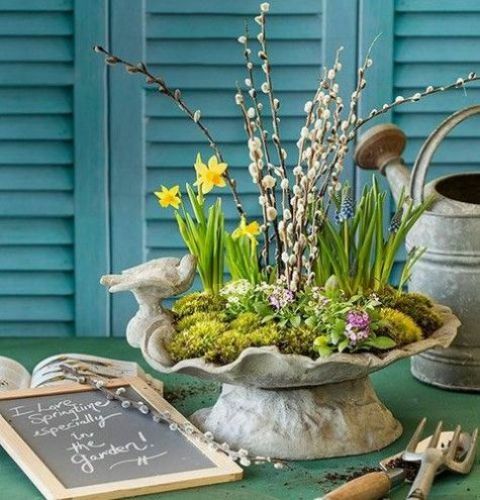 Rock your favorite spring blooms and bulbs in pots, trays, planters, vases and baskets – you may even substitute a bowl with a bath, bucket or a nest. 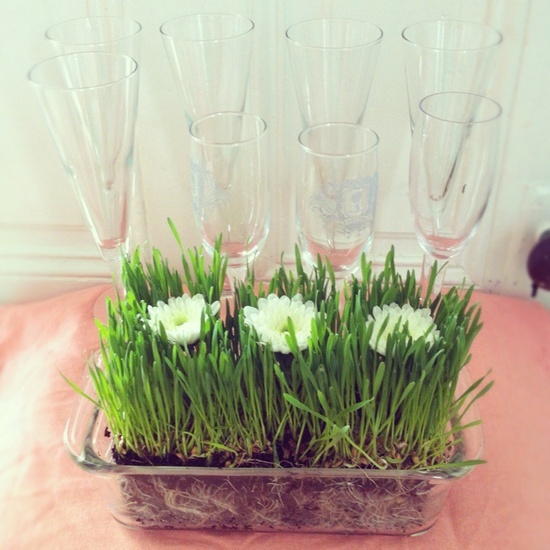 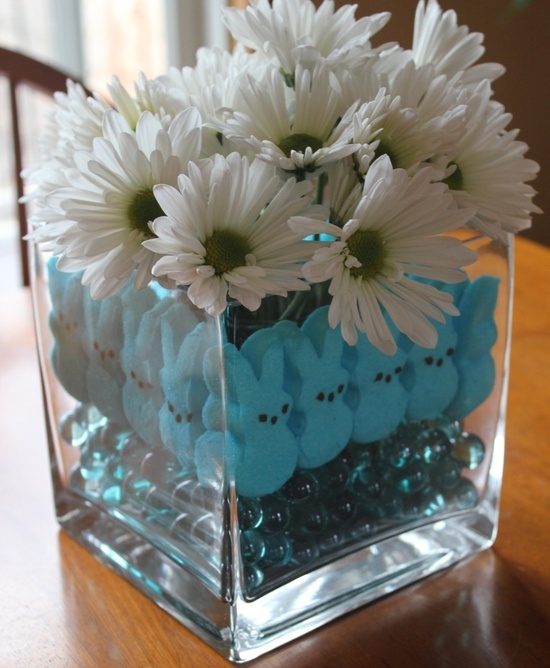 Actually, you should choose a container according to the style of your Easter decor. 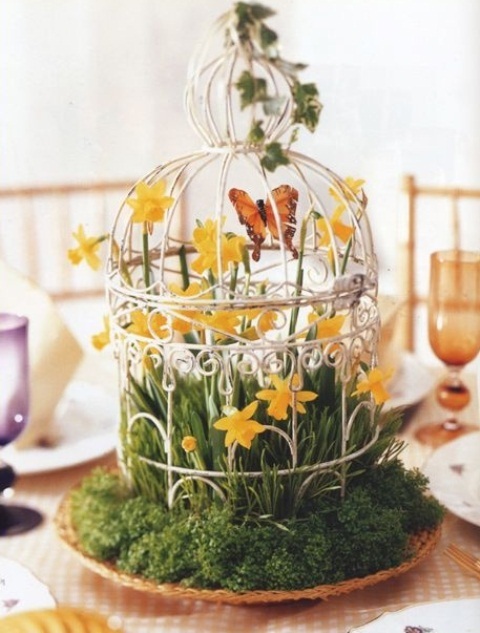 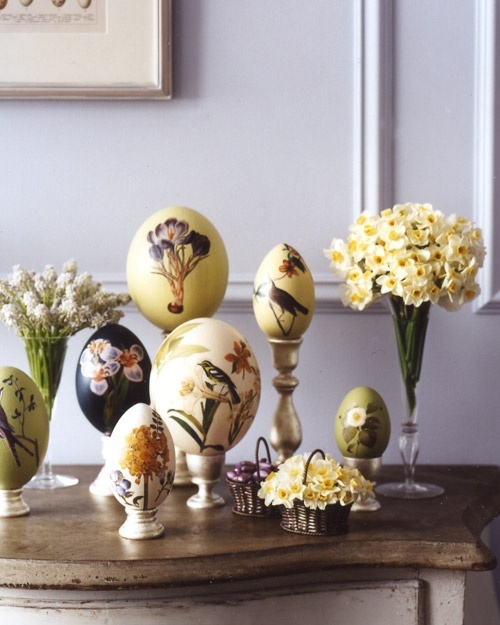 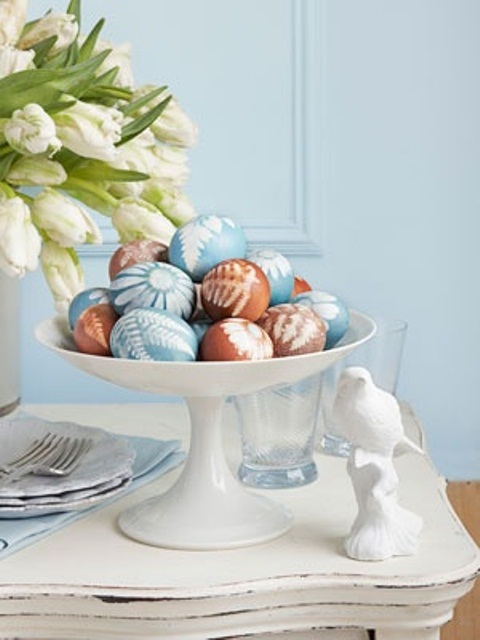 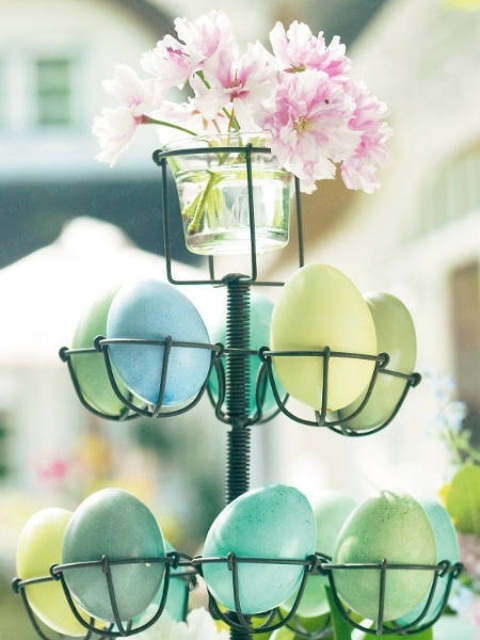 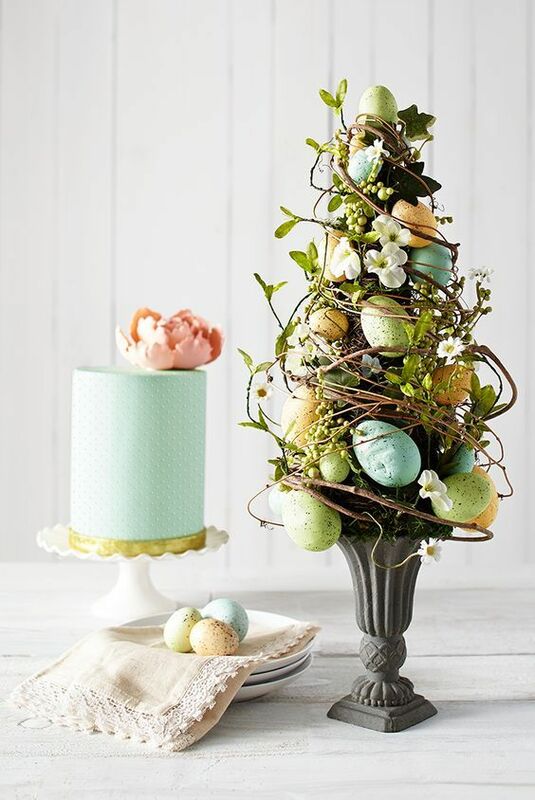 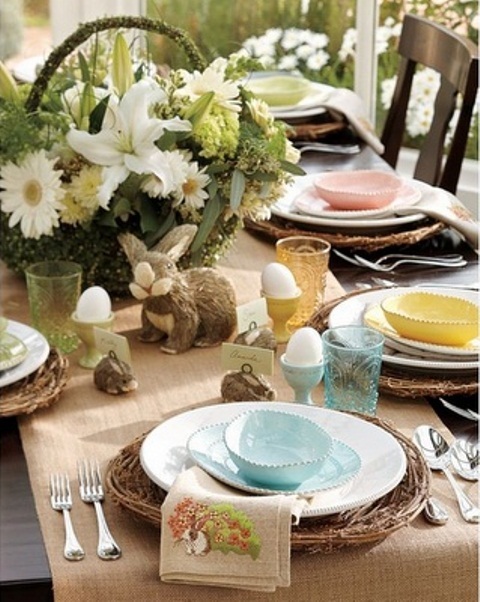 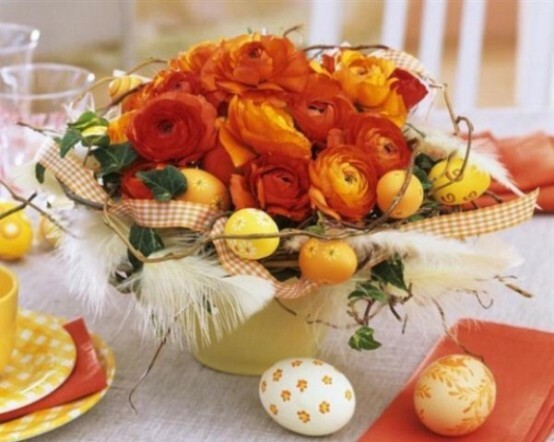 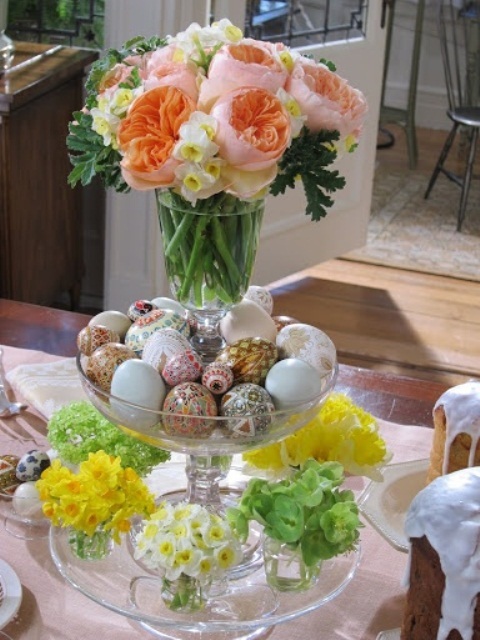 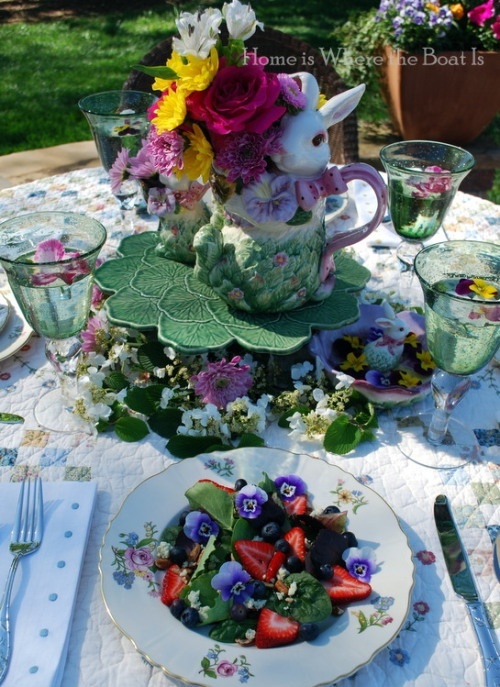 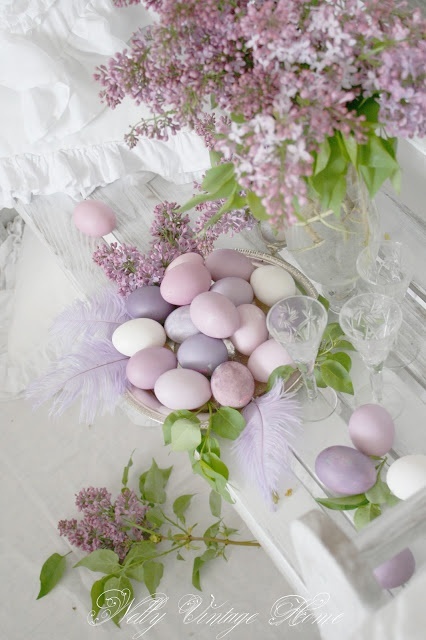 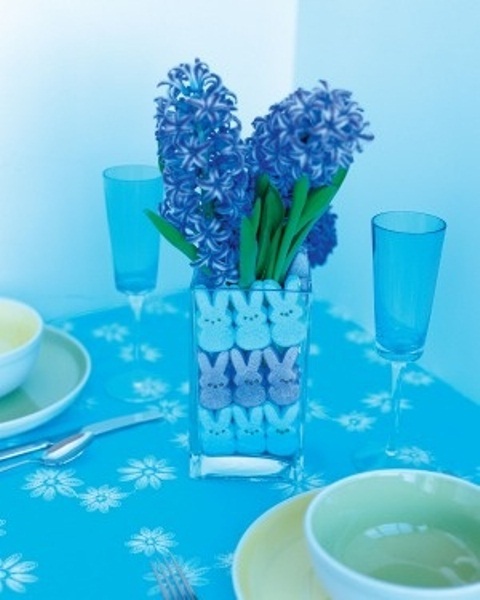 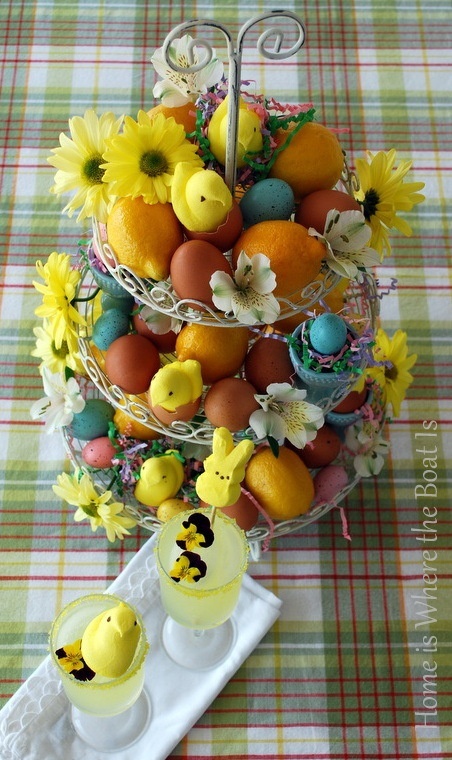 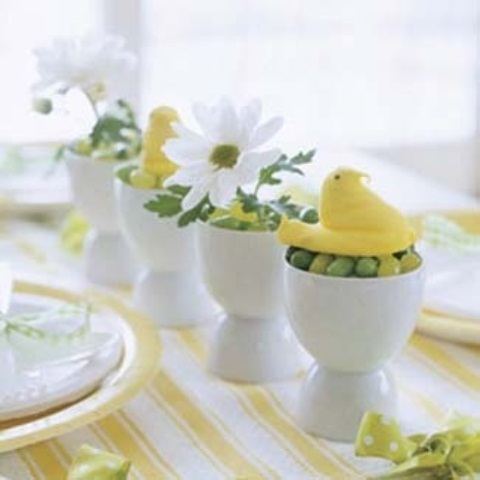 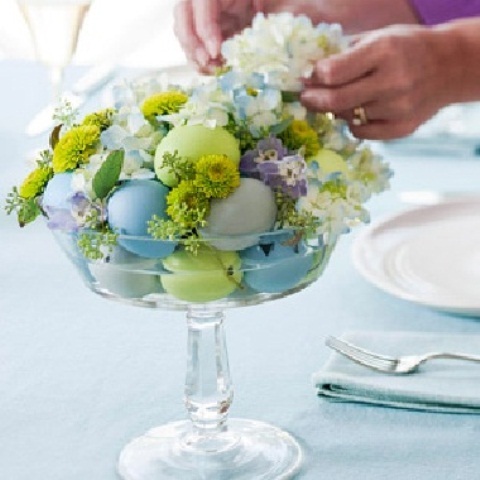 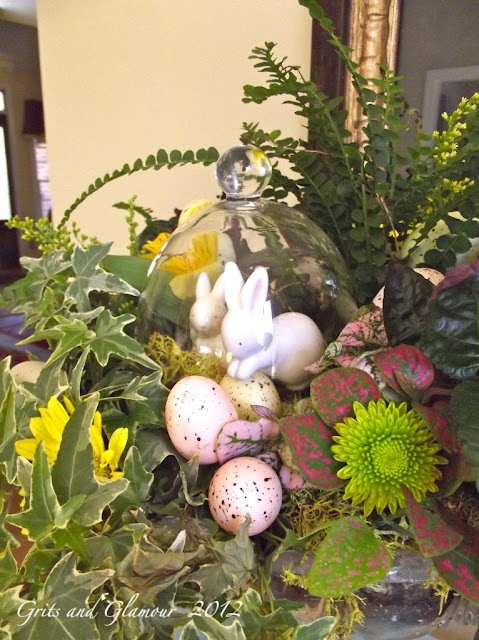 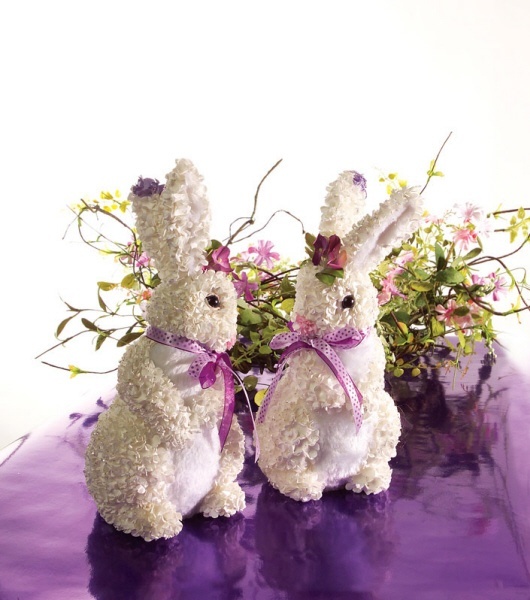 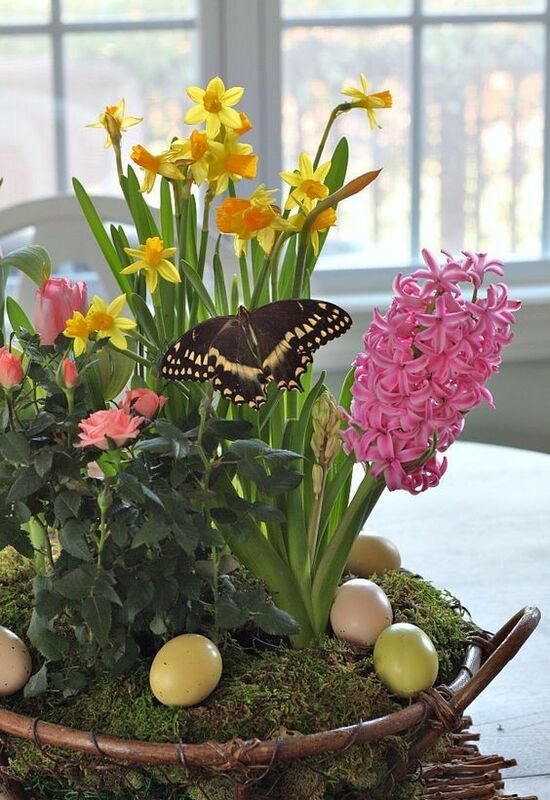 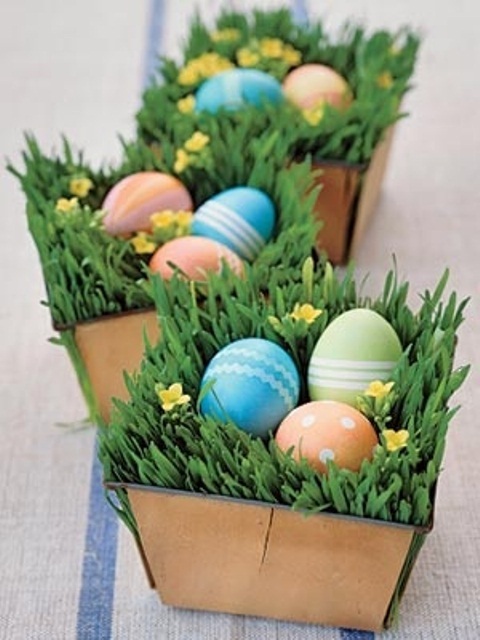 Add fake birds, bunnies and of course the main thing – speckled eggs or eggs decorated in various colors and shades. 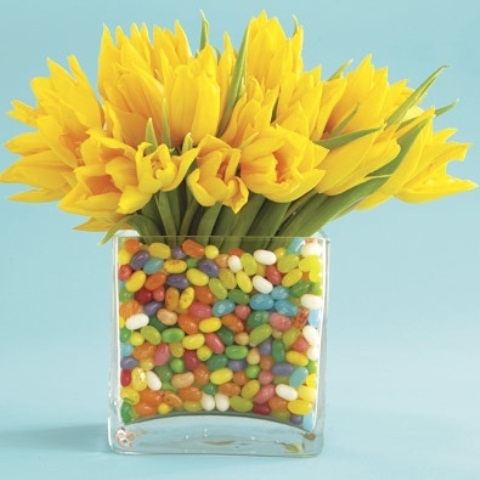 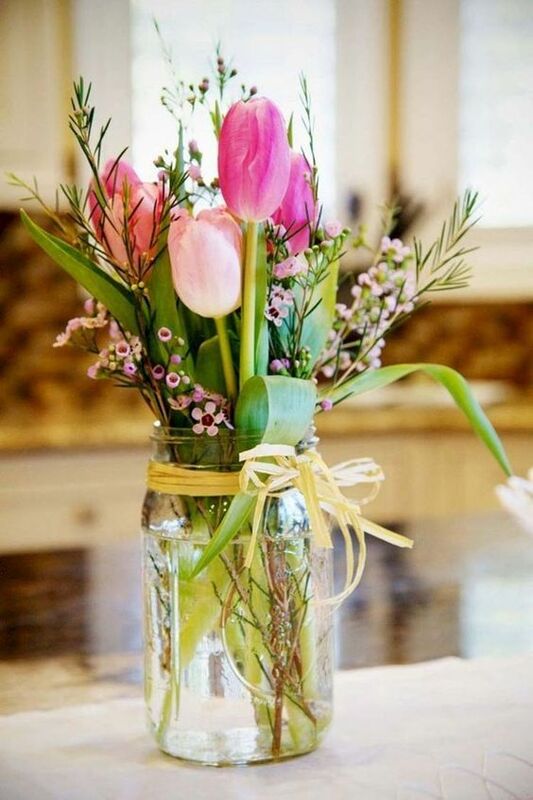 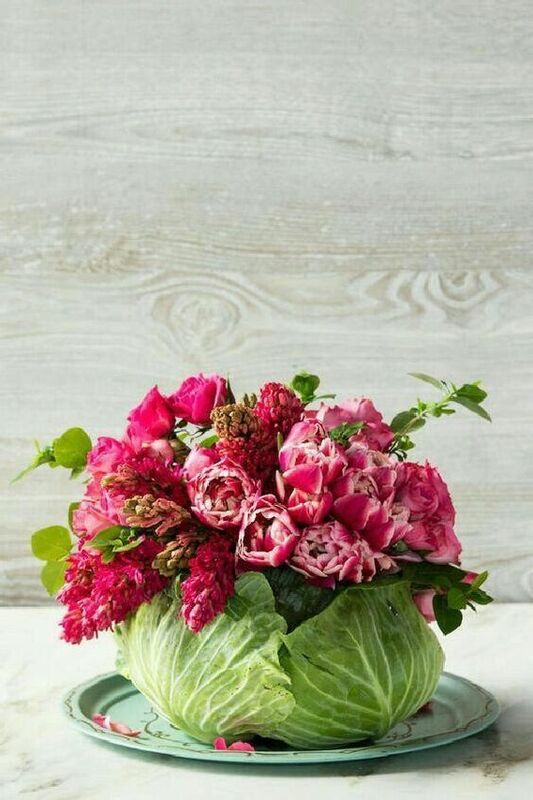 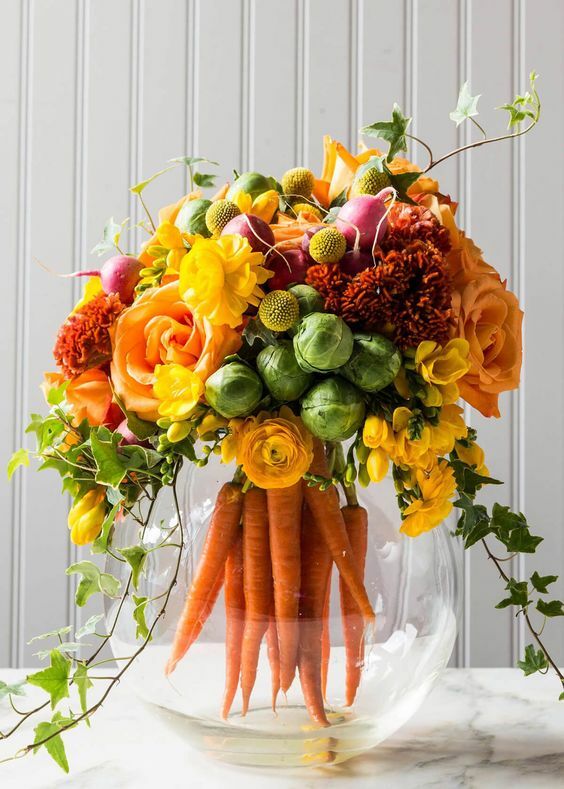 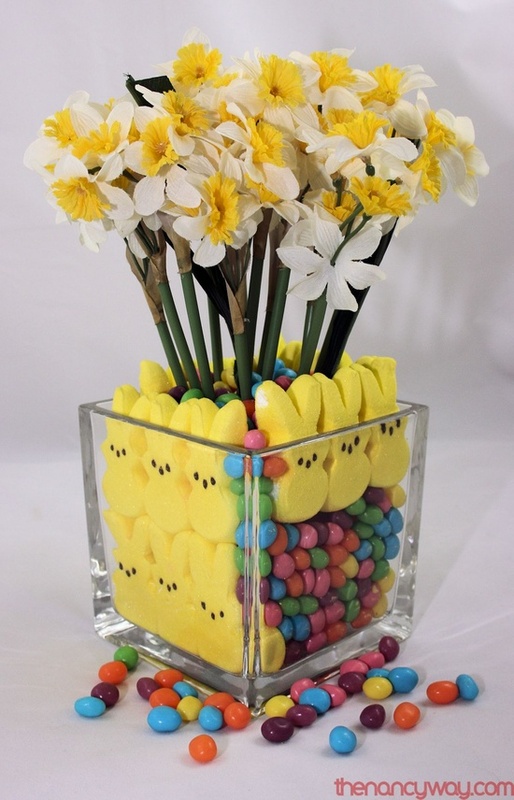 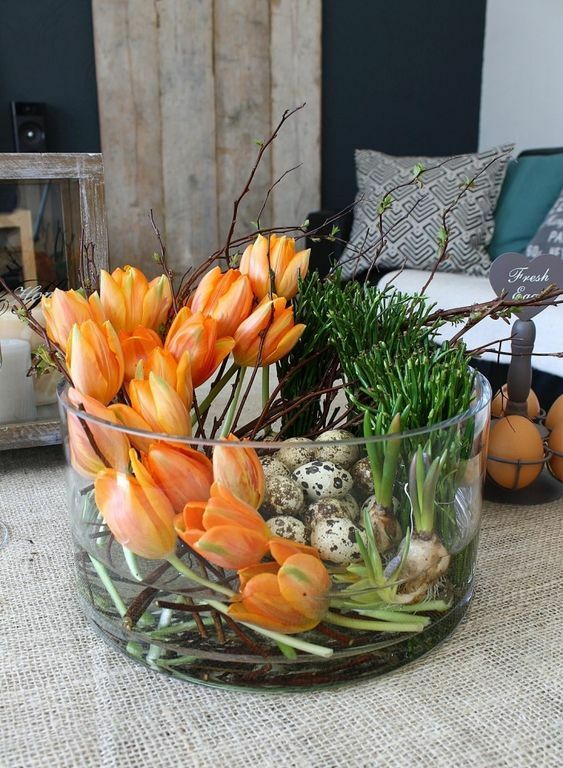 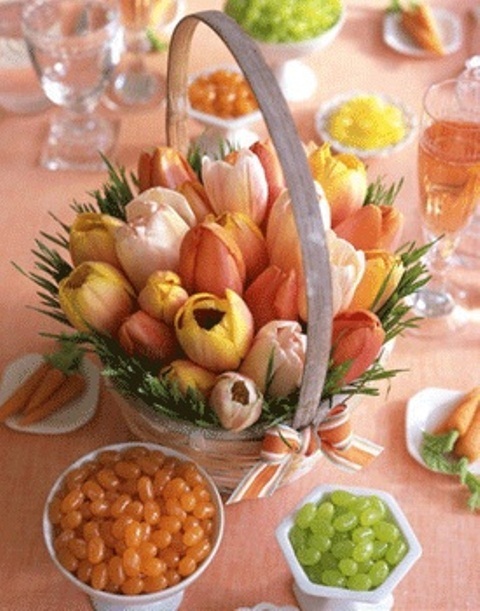 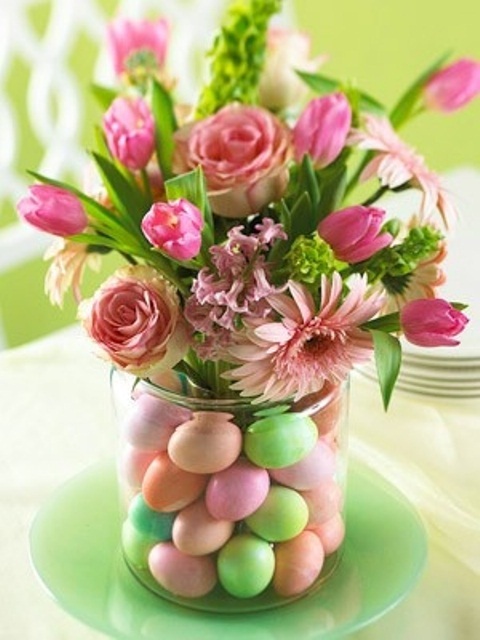 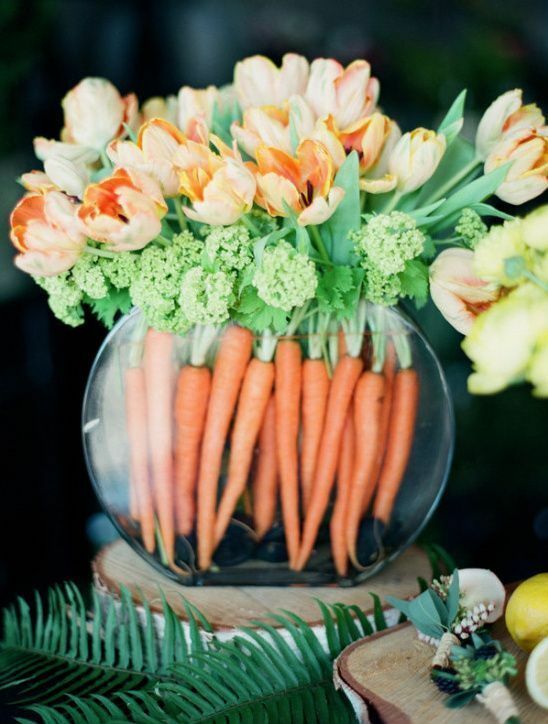 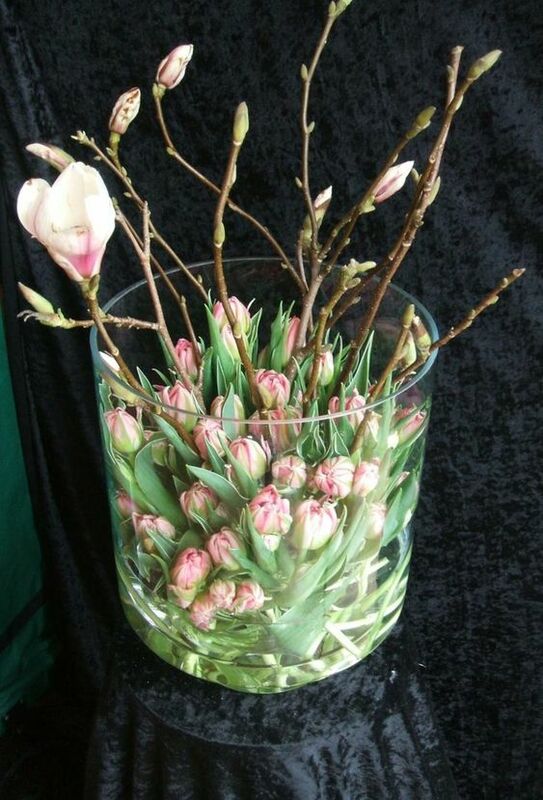 If you have a large clear vase, you may go for carrots inside it and blooms over it to make a cool and bold Easter centerpiece. 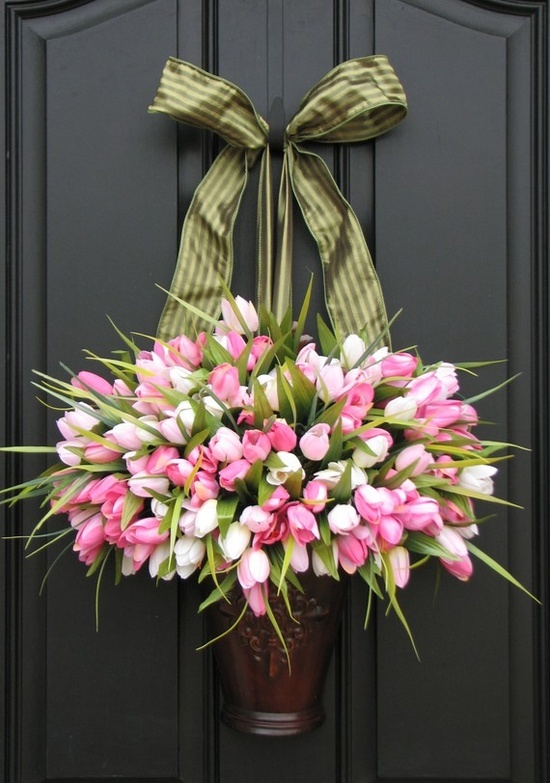 Create outdoor arrangements for decorating your front door, front porch, garden, front yard and other spaces. 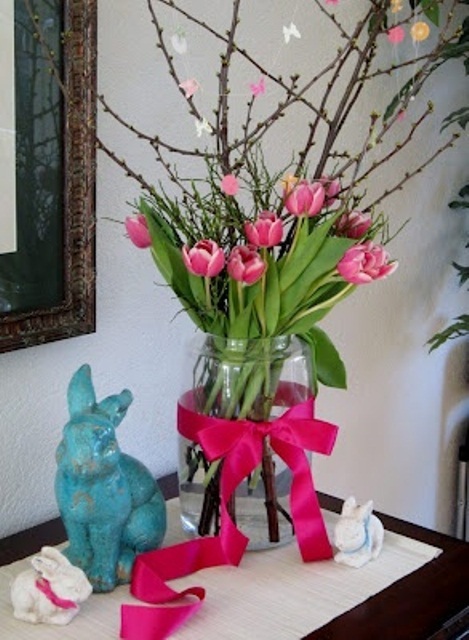 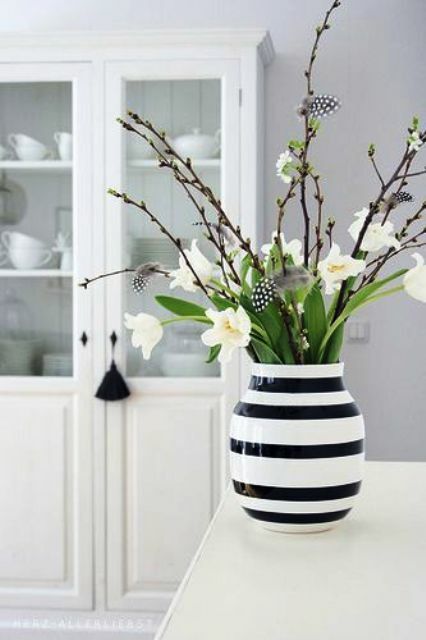 Skip usual vases and pots and prefer large stone urns and concrete vases to make the arrangements more durable. 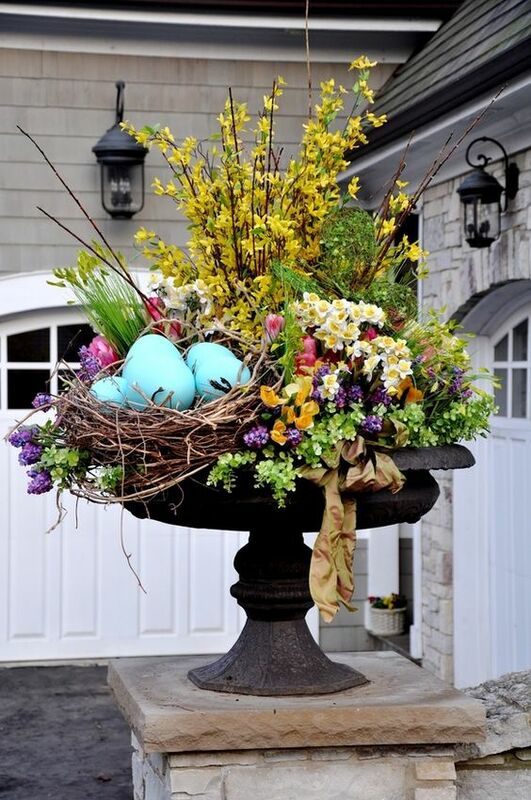 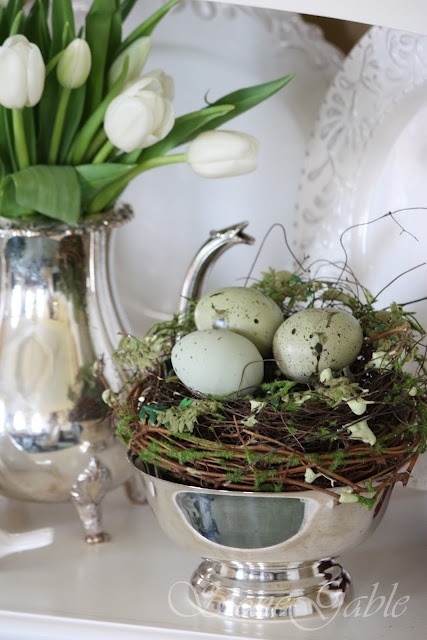 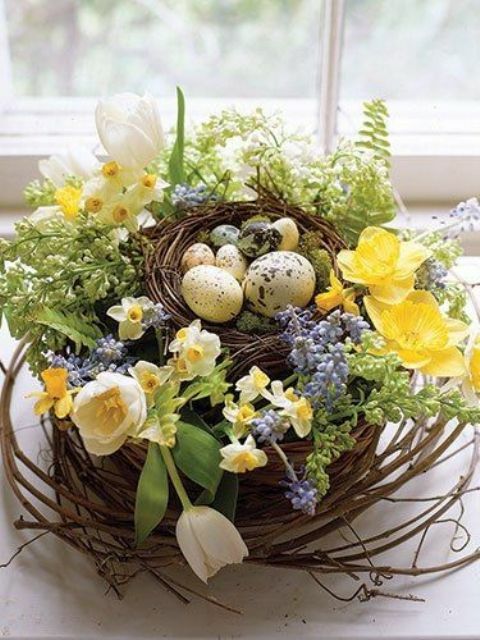 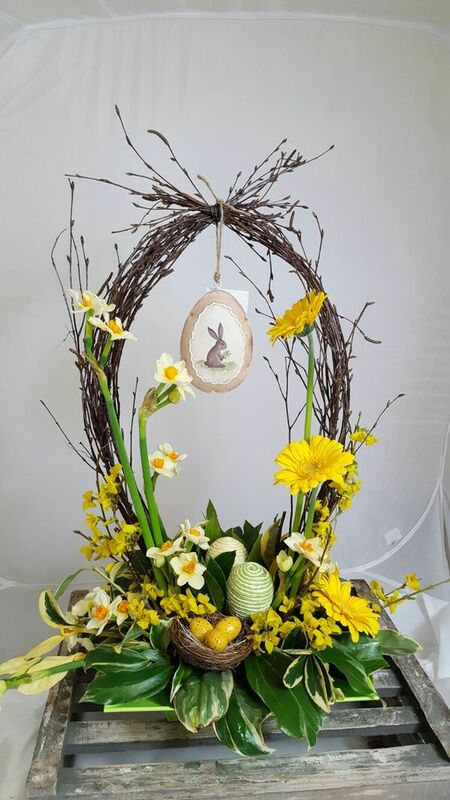 If you want an even more durable arrangement, go for faux blooms and greenery, add eggs, birds and bunnies – everything traditional is welcome!